The changeable face plates and the customizable home screen is a HUGE plus for me. Although...as of yet...they have yet to announce such a thing for the XL version, which, I think, is the version I would go with, since I have a regular-sized 3DS now. As for which design is the best? 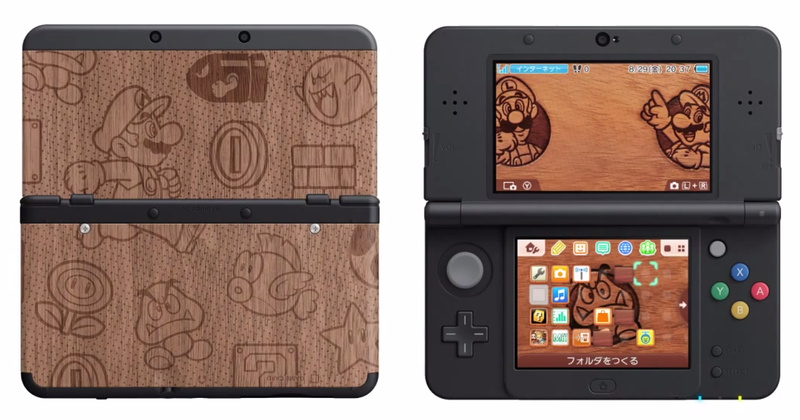 That wooden Mario design is clearly head and shoulders above the rest. I'd be proud to sport that motif! So, in short, I'm torn about getting one. I want one, but I don't think I'd buy another regular sized one. I also think I'd pass on the XL version unless they announce face plates. We'll see what colors they bring to the US. The face plates are definitely a huge plus, no longer having such a narrow sweet spot for 3D is also huge for me personally. I've still got an original 3DS and have been eyeing up an XL for awhile. This has just made me extend the wait a little longer. Doesn't seem to be from the looks of things. If you notice there is now a bezel on the device that houses the 3D cameras. It doesn't seem to be present on the NewXL. Hey there, Justin! Oddly, I have a feeling the "new" LLs/XLs won't offer changeable cover/face plates. I'm guessing Nintendo is offering this for regular-sized "new" 3DS only in order to entice some folks to pick up that machine--as opposed to everyone buying the LL/XL, as they seem to now. Who knows, though, maybe this is some sort of test, and if enough people buy the regular-sized "new" 3DSes, Nintendo may make "new" LLs/XLs that allow users to change their cover plates, too? I certainly would't complain about that! I'm going to guess that the "new" XL/LL won't allow owners to change the cover plates, Chief. I mean, if that was possible, why not mention it in the Nintendo Direct? Anyway, I guess we'll find out for sure soon enough. As for your comment about this not being like the DSi: I agree with you there. 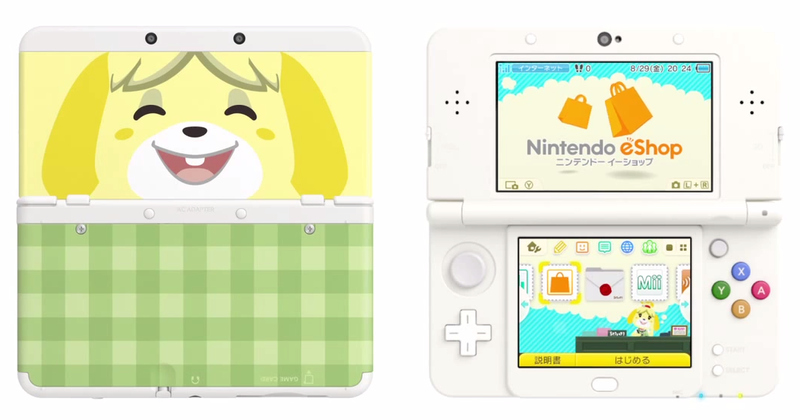 Hopefully the "new" 3DS will be treated more like the GB Color than the DSi. Oh, yea, the improved sweet spot for the "new" 3DS' 3D is a plus, too. No question. 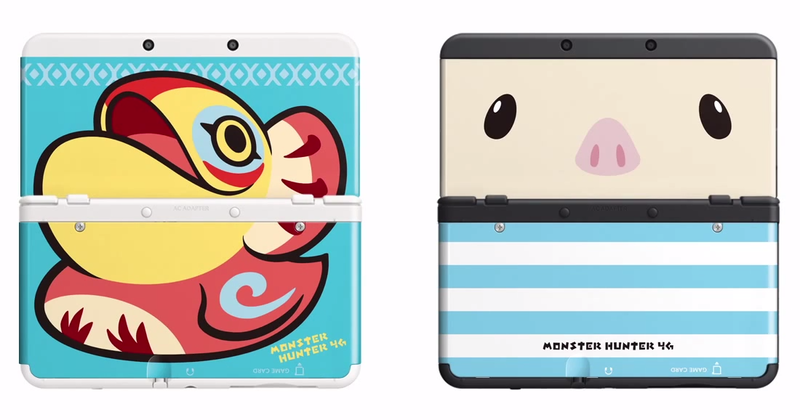 I'm not betting on the LL/XL being able to change cover plates, though! Yep, this is what I think, too, Chief! My thinking as well. Why wouldn't they mention it during the Nintendo Direct? No reason not to, IMO. It would make it much easier to swallow the pill of purchasing another FREAKING 3DS XL. Espcially knowing it'll only be to play Xeno before Xeno Chron. Well, you have gone through a few Account related dramas with your many 3DSes! I'm looking forward to the upgrade. The C-stick for Monster Hunter 4 is going to be very welcome, because the CIrcle Pad Pro XL makes for a large handheld. I'll miss out on the cover plates, but I can always order a custom skin decal. I've been trying to get one of my buddies to upgrade to a 3DS for a long time so we could play Monster Hunter with me. He'd finally decided to pick one up over the weekend, and then Nintendo made their announcement. He's going to wait for the new one. MH3U has a camera lock-on so you can keep track of the monster, and there's a virtual D-pad on the lower sreen for extra camera control. My co-worker did the entire single-player campaign solo that way. I prefer having the second stick for consistency when I switch between the 3DS and Wii U versions. Against that hideous blue, I'm okay with that. If they offered a white, black, grey or some other colour then, it would be greatly missed. The lower screen panels can be configured any way you want, so the virtual D-pad may not be there by default. Not sure. Yes, I agree with this, too. The colorful buttons would look bad attached to systems of certain colors. 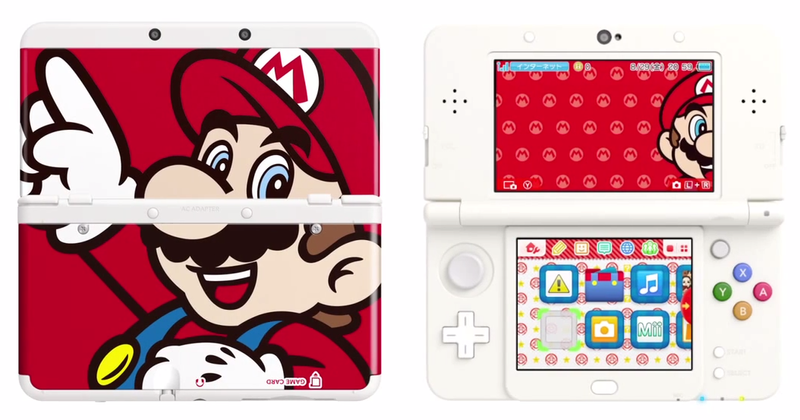 Also I wonder if the home themes that came with face plates will be exclusive to them. I hope not. Hmmm, I also hope that's not the case, Sam. I don't think it will be, though, if that means anything. No reason to restrict them in that way, if you ask me. Not happy. I suspect Steve Pixel agrees, judging from recent tweets. Come on, Nintendo, do you really want to follow in Sega's footsteps with these stopgaps? What's going to happen when people complain that the C-stick is too small? That's right, we'll get a fifth 3DS model. Because Nintendo is really good at bleeding money from its customers. This wouldn't stick in my craw quite so much if games weren't being developed exclusively for the New 3DS. Really? 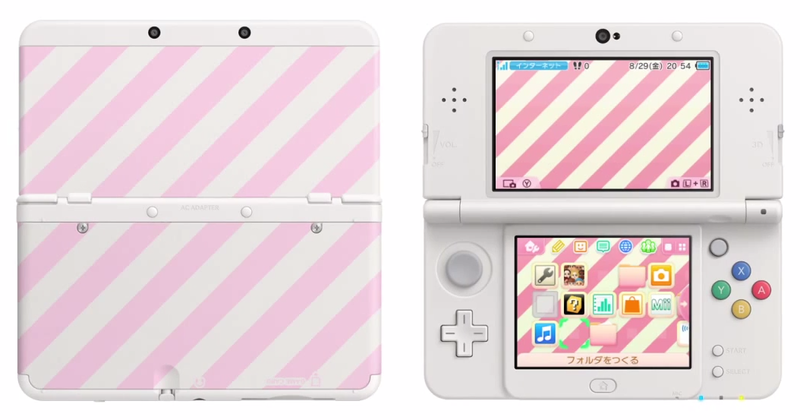 I genuinely feel sorry for anyone who sank mad bank into the 3DS XL. That wasn't a cheap purchase. I was weak, my friend. It also doesn't help that Nintendo don't design for ergonomics or make concessions for large handed men. Can't say I agree with you, Jess, but of course you're free to your opinion! For starters, this isn't the first time Nintendo has gone this route. GB to GBC was pretty much the same thing, as was DS to DSi. Also, as was the case with the DSi, I think folks who want to stick with their OG 3DSes or 3DS XLs are going to be fine--especially when you consider very few "new" 3DS-only titles are ever likely to be released by Nintendo or any other publisher, IMO. As such, I wouldn't feel to sorry for people like me who bought and own a 3DS XL. If I don't buy a "new" 3DS and I have to stick with my XL, I'll be perfectly fine with that. Hopefully others in the same position will feel similarly. 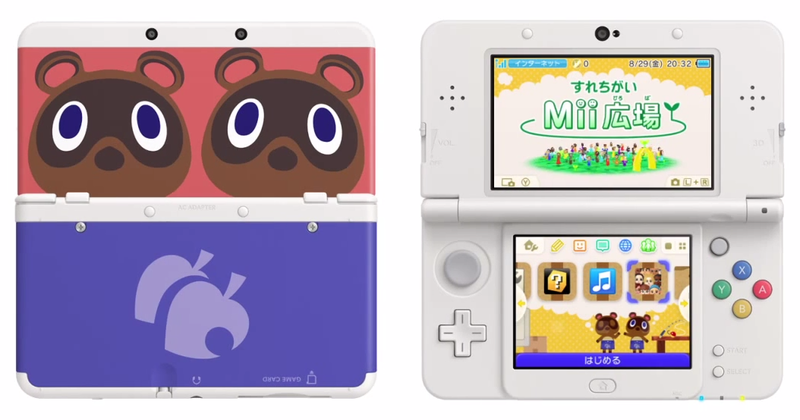 Oh, and I also wouldn't expect to see another 3DS model after these. We're at the part of the generation where Nintendo surely is preparing to release the 3DS' successor sometime late next year (in Japan, at least) or in 2016, so releasing another iteration of the 3DS would make little sense. IMO, of course! The OG 3DS was pretty tough on me. We have indeed had this conversation before. In regards to the XL, I don't mind the heft it's the shape and the button placement. It's very common in the community for us bigger handed handheld players. GameGear was comfortable. It was almost as comfortable as the Duke OG Xbox controllers. I have no idea what a Duke OK Xbox controller looks like. Off to the Googles! My response is "yes" to both of your comments, Adam. If the XL had changeable cover plates, I'd pick up one of them, no question. As it stands, I'll probably pick up the smaller one instead--if NOA doesn't screw up colored buttons! To each his own, I guess. Personally, I get really offended by these half-upgrades... it's likely the result of owning Sega game systems throughout in the 1990s. The New 3DS won't be the disaster that the 32X was, but I still question the wisdom of releasing a handheld that strikes an awkward middle ground between the current generation and next generation. I'm not interested in Xenoblade Chronicles, but making one game exclusively for the New 3DS invites others. I'm already hearing chatter that the faster processor could open the door to Super NES and Game Boy Advance emulators, which would be terrific if I didn't have to buy another handheld to get them. This should give you some idea of what to expect. Oh, I agree with you that these half-upgrades are weird, especially when you consider we're only a year or so away from the 3DS' true successor (IMO, of course). Personally, I would've been fine with the "new" 3DS being just another cosmetic overhaul of the OG 3DS, leaving the LL/XL as is. As for more than the Xenoblade port being released as "exclusive" games that make use of the n3DS' increased power: like I said before, I'll believe it when I see it. Oh, I'm sure Nintendo will release a couple of others, and third parties may release a couple, too, but I'll be shocked if at the end of the 3DS' life more than a handful of such games have seen the light of day. For me, the only reason I want the smaller n3DS at the moment is so I can replace the OG 3DS that I never use (mainly because of the tiny screens) and so I can make use of those cool-looking (IMO!) cover plates. Maybe not the best of reasons to buy another handheld, but I'm OK with that. And, really, you should be OK with the fact that you *don't* want one of these n3DS systems. I really don't think you or anyone else will suffer for sticking with the OG 3DS or the current LL/XL, but that's just me! If you wouldn't mind actually, I'd like to ask what turned you on to the 32x at the time? I don't mean to phrase this in a way that might be construed to make fun of you, but despite being a Sega fan, the 32x was an obvious dud to me and I didn't buy one (or at least not until they started liquidating them at retail) and had a hard time imagining why anyone else would. I never owned a 32X. I was capital F furious that Sega would have the gall to release such a product a couple of years after the Sega CD, and months before the Saturn. Having said that, my cousin DID own a 32X, and I had the "joy" of playing several of its games. Virtua Fighter was the best of the lot, but even that couldn't justify the pure hell of setting up the blasted thing. You had to insert electro-popamatic plates into the Genesis to keep the cartridge doors open, insert the 32X into the Genesis, plug in lord knows how many wires, and pray that everything came together perfectly. Usually, it didn't, and you got green colors where there should have been blue, or the game would freeze, or some other infuriating nonsense. Admittedly, I damned the 32X before I even played it, but the hatred was justified. That thing was pure, unfiltered evil. I have to admit I was intrigued by the 32X before it became obvious you should just go with a Saturn rather than waste money on a 32X. Some of the games made for it at the time just looked really appealing to me--like the shooter that starred a hummingbird, I believe? Anyway, like I've said before, I think it's fine to not buy these products, or even to just regard them warily. I'm not sure I understand feeling angry about them, though. Why not just ignore them, in that case? Ah, yes, Kolibri! And how could I forget Tempo? I wanted a 32X for those two alone, I have to say. In the end, though, I saved my money for the Saturn, which is retrospect was a pretty good idea, I think. Also, yes, there is a Tempo game for GG. It's obviously the least appealing in terms of graphics, and the gameplay isn't the greatest based on my limited experience with it, but even then I wouldn't call it trash. I hope we aren't a year away. 4 years is a really short generation. The sweet spot for me would be 6 years. I dunno, I guess he didn't. This was 1997 or thereabouts, so he might have gotten his 32X on clearance like you did. He was big into Sega and wanted to own as many of the games as possible. They better release a Europe release date soon. I just want to get the normal size one. I have a feeling they're holding off on announcing these systems in other regions until after the holidays, Nathan. Which makes a good bit of sense, really. I mean, otherwise, a lot of people may avoid buying 3DSes and XLs this holiday-shopping season as a result. I thought they may announce them before the winter holidays to get the extra holiday sales. Oh, you mean announce and then release them before the holidays, Nathan? If so, I think we're rapidly approaching a time when it would be too late to do such a thing, I'm afraid. Also, the recent announcements of the NES, Persona Q and Smash Bros. XLs makes me think that's the route Nintendo's taking in North America this holiday season, at least, and I wouldn't be surprised if Europe, Australia et al follow suit. I'll probably go for the XL in the end I reckon. But I may wait and see if Xenoblade will be launch game. If it's not, then I'll wait until Xenoblade comes out and get it then. Do you mean you're going to wait and see if Xenoblade will be a launch title for the n3DS outside of Japan? If so, yes, that will be interesting, won't it? I mean, I can't imagine it *not* being a launch title in all regions, but who knows? If Xenoblade isn't an n3DS launch title outside of Japan, though, I have to imagine Nintendo will have some other title (or titles) to fill that gap, since you know they won't launch the system without a game to show off its increased power, etc.